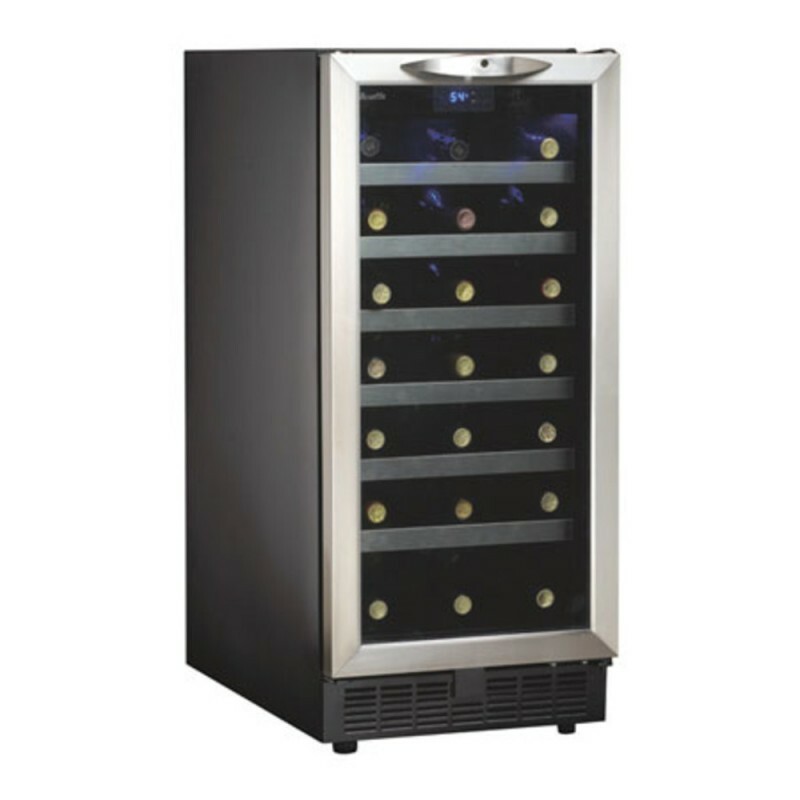 Danby Silhouette Wine Cooler Stainless (P/N DWC1534BLS). Get rid of outdated trash compactors and make room for a contemporary replacement. At 15' wide this trendy wine cooler can chill up to 34 bottles of your favorite wine. With clean lines and stainless steel trim, the DWC1534BLS is a sleek substitution that's sure to fit! With clean lines and stainless steel trim, this trendy wine cooler can chill up to 34 bottles of your favorite wine.